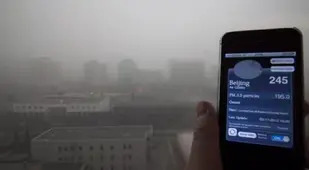 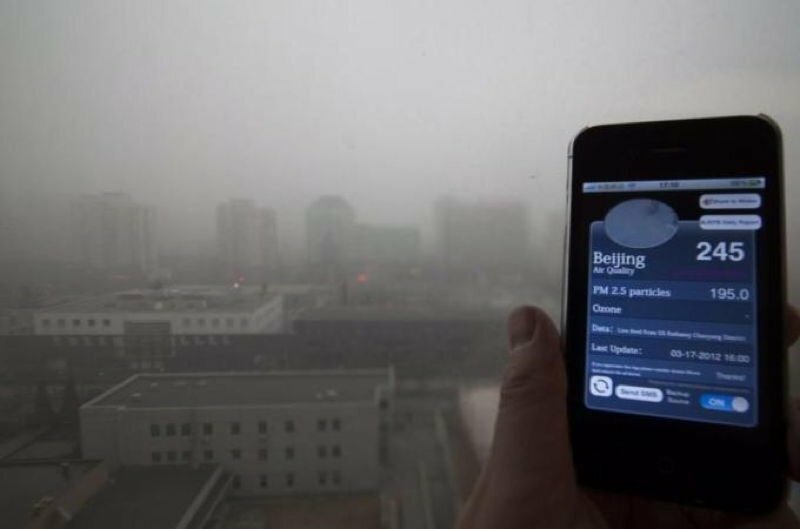 As a thick haze engulfs the Chinese capital, these pictures of the Beijing smog capture the ongoing disaster. 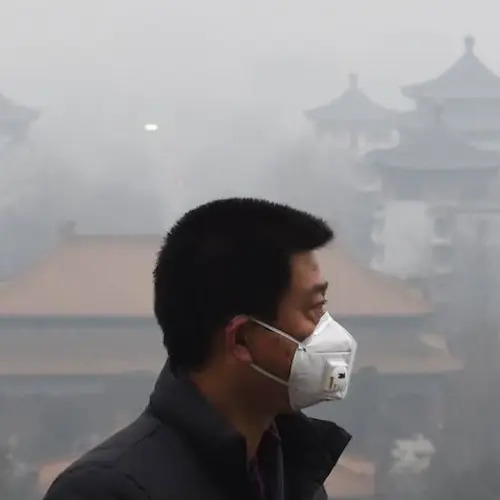 While China’s 20-million and counting metropolis of Beijing is still in the midst of an economic and industrial boom, it’s certainly seen brighter days. 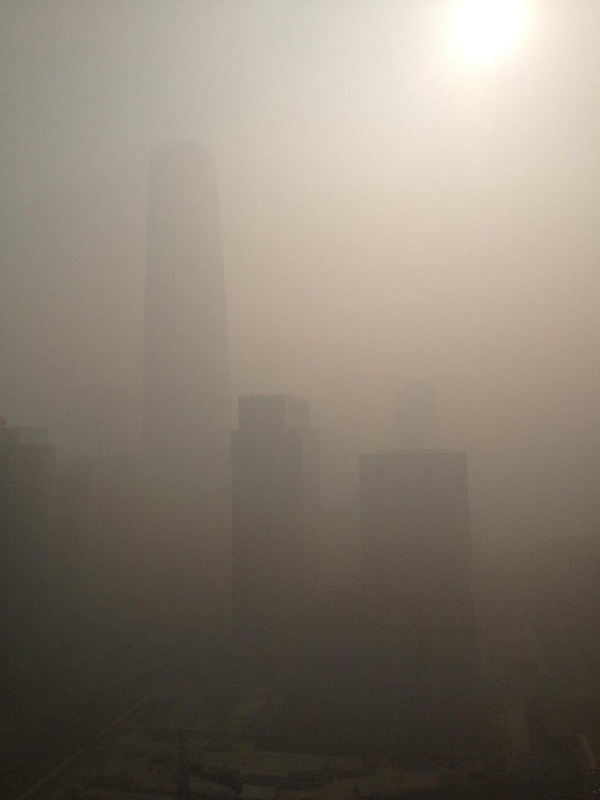 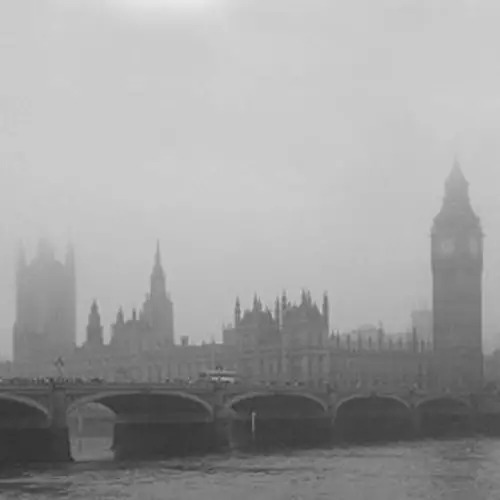 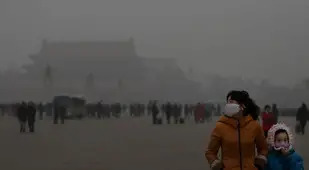 This spring, a toxic cocktail consisting of car exhaust fumes, factory, and coal-heating smoke engulfed much of the city in a thick smog, causing many residents much grief in going about their daily affairs. 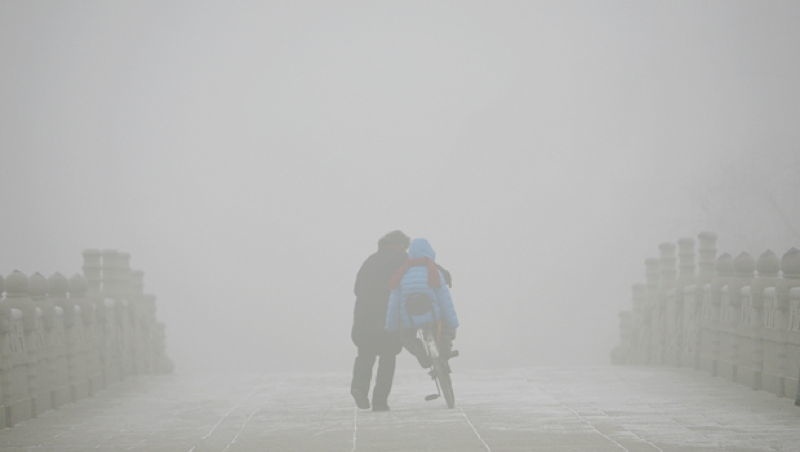 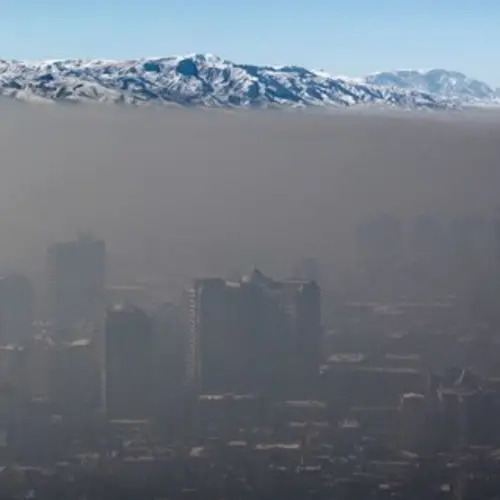 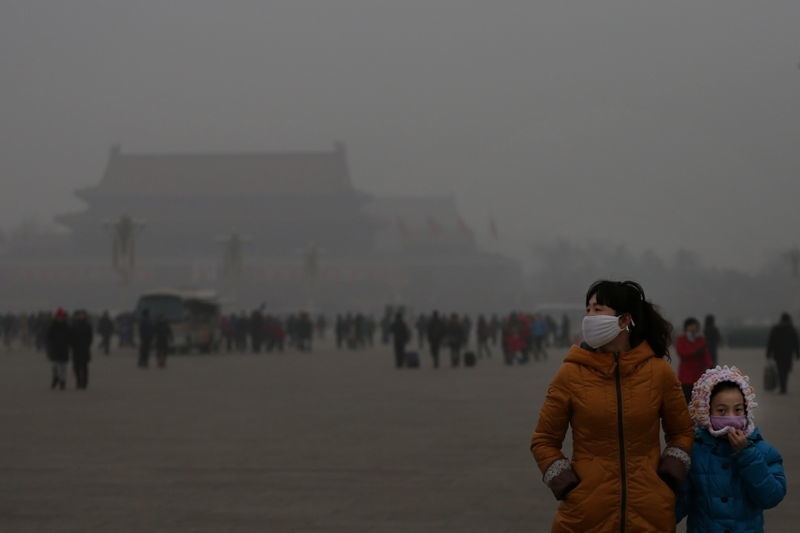 Photo Of The Day: Is This The Worst Smog In The World? 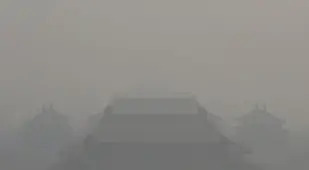 It doesn't look like "normal" will include the color blue for a while, either. 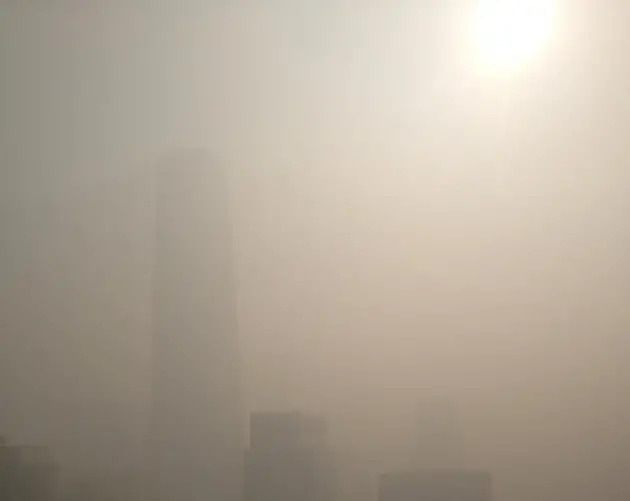 As industrialization surges ahead and many newly-rich Chinese increase demand for their own automobiles, the only thing certain about Beijing's future is that it will be hazy. 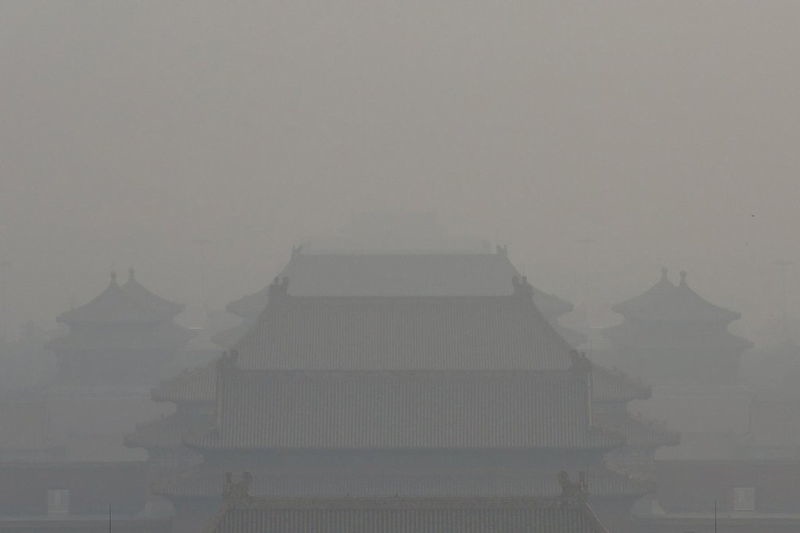 After looking at these unbelievable pictures of the Beijing smog, check out our gallery on the growing problem of pollution in China and what Delhi, the world's most polluted city, looks like.